Year 2012 is not only the beginning of Maya’s No.5 Sun Century, but also the end of world. When darkness occupy sky, dawn won’t come any more. Who will be the hero to save the world? Mayan has wait centuries in dark forest for this moment. Maybe fighting is the only way to welcome the new age ..
★ The story kicked off the fighting among 2 tribes and Maya civilization. ★ Black buildings are local indigenous, yellow belongs to Maya, black is ancient China, and white is ancient Greek. 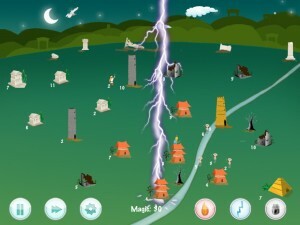 ★ The game has totally 21 levels, and allow Maya tribe attack one or two tribes together. ★ The field spread from Asia, Europe, to America. 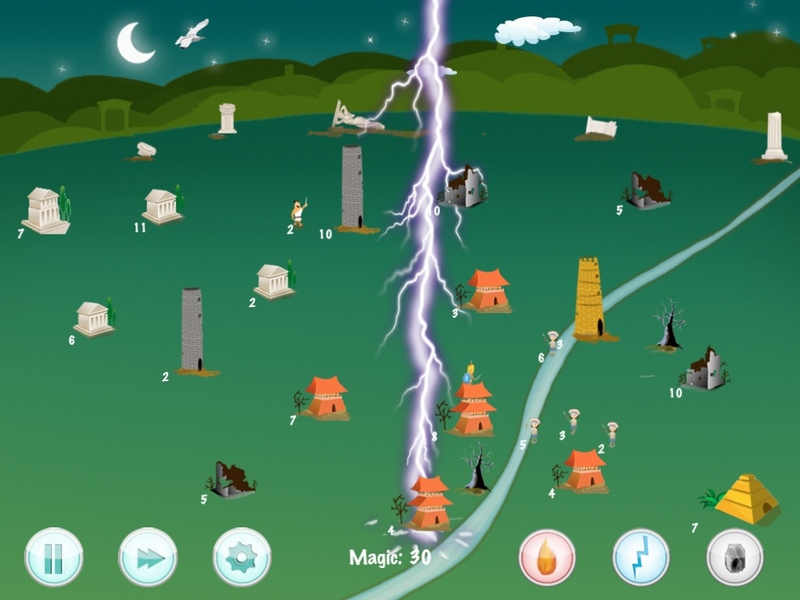 ★ There are 5 capabilities: Attack, Defense, Troop Speed, Magic Increase, Troop Increase. ★ Each capability has 10 grades, and can be upgraded with coins. ★ On each level complete player will be awarded coins. The quicker, the more. Player can buy coins inside game. ★ After each level complete, it will show performance stars. 3 stars is maximum. ★Victory★ Once a building was occupied by Maya soldiers, it will become yellow Maya pyramid. You win when all buildings in the battle field become Maya pyramid. ★Attack★ Press on yellow Maya pyramid A, move and release on a building B, and then one half of Maya soldiers from A will move toward B. ★Jointly Attack★ Press on yellow Maya pyramid A, move to B, move and release on C, and one half of Maya soldiers from both A and B will move toward C.
★Magic★ Tap a magic, and then tap on a building at which magic will cast. Player’s magic value will continue to increase. ★Produce★ Soldiers amount in building will continue to increase until reach the maximum of that building.